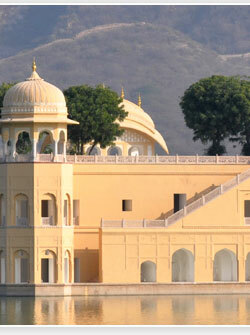 The Pink City of Jaipur is a major gateway to explore the cultural and architectural heritage of Rajasthan. Reputed as one the ancient cities in India, it showcases the best of flamboyant Rajput architecture. 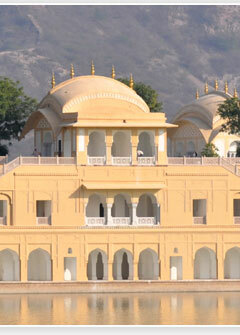 Settled in the rugged hills of the Aravallis, Jaipur is the pristine jewel in the desert sands of Rajasthan. Jaipur is as remarkable for its marvellous architecture and town planning as it is for the lively spirit of the people who inhabit it. Tour the golden city of Jaisalmer, which lies courageously as the western sentinel of India, is a place worth visiting. The golden ray of the setting sun draws a heavenly picture on the sands of Jaisalmer. One of Rajasthan's most alluring cities, Jaisalmer, deep in the heart of Thar Desert, abounds in ancient palaces, temples and quaint settlements. The golden - yellow sandstone of Jaisalmer Fort, over 800 years old, crowns the Trikuta Hill. Within its walls, defended by 99 turrets, lies the old city, nearly a quarter of modern Jaisalmer. Famous for its magnificent forts and palaces, Jodhpur is the second largest city of Rajasthan and a major tourist attraction in the country. Set at the edge of the Thar desert ,the imperial city of Jodhpur echoes with tales of antiquity in the emptiness of the desert. Jodhpur Woman, generally wear a three-piece dress which includes the ghagra (skirt), the odhni (head cloth), the kurti (shirt). Women are particularly inclined to wear jewelry on many parts of their body including specific types that are worn on the feet, head, forehead, ear, nose, neck, arms, wrist, fingers and waist. The city of Dawn,Udaipur is a lovely land around the azure water lakes, hemmed in by the lush hills of the Aravalis.A vision in white drenched in romance and beauty. The Lake Palace is one of the most beautiful palaces in the world, arising out of the Turquoise Waters of the Pichola like an elegant fantasy in white marble. 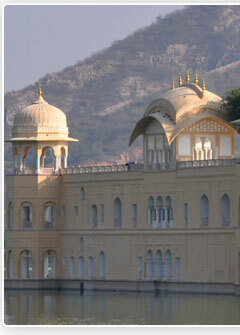 The Lake palace was built in the 17th century on a natural foundation of 4 acers of rock. Lying in the north of the desert state, the city is dotted with scores of sand dunes. 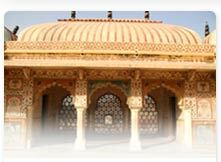 Bikaner retains the medieval grandeur that permeates the city's lifestyle. Bundi is the undiscovered splendour, 36 Kms from Kota ruled by the Hada Chauhans. First destination is HADOTI. Set in a narrow inclining gorge. 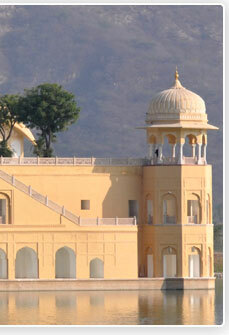 The Raj period approached it as a relaxation place to rewind along with the royalties and semi royalties. This is a semi desert region in north Rajasthan and it is situated entirely in the triangle between Delhi-Bikaner-Jaipur.